APTDC in association with Jet Airways is planning to offer one day tour package to Tirumala by Air. 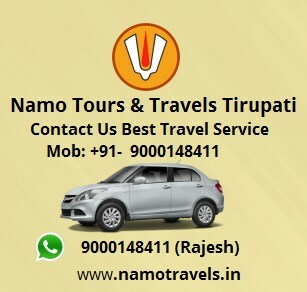 The 24 hour tour package includes darshan of kalahasti temple and night stay at Tirumala at Haritha Hotels run by APTDC. Darshan of Lord Balaji at Tirumala and back to the main city. 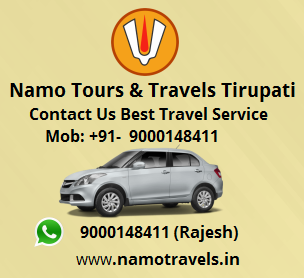 Hyderabad Tirupati Hyderabad tour package details: the jet airways flight starts at 3.00 PM at shamshabad international airport and goes to Renugunta airport. APTDC buses take the pilgrims to srikalahasti temple. After darshan of srikalahasti temple then night stay is planned at Haritha Hotel at Tirumala. Next day morning lord balaji drshan is organized. After Darshan of lord balaji at Tirumala, tour is organized for darshan of local temples at srinivasa mangapuram and padmavati. Then the tour proceeds to renigunta airport and from there back to Hyderabad by 3PM in the evening. The package Tour to Tirumala offered by APTDC (Andhra Pradesh Tourism Development Corporation) takes care of food, accommodation and darshan and the tour packages include all. Expected tariff for the tour package by APTDC to Tirumala from different cities will be as follows.